Gearing up and preparing for the holiday season can be stressful to say the least. If you find yourself lacking in the holiday spirit department essentials oils are a great way to help your body rest and relax. Below are some of the most popular scents with stress relieving properties. Lavender – Lavender oil increases your resilience to stress of all kinds, both mental and physical. It is also very effective for pain relief, anxiety and insomnia. Mandarin – Mandarin oil is balancing, uplifting, calming and extremely gentle; its properties include being anti-septic, digestive and anti-depressant. Vanilla – Vanilla oil has a comforting scent that makes you feel right at home. It can help reduce stress, relieve headaches and stimulate mental clarity. Peppermint – Peppermint oil is great for stimulating the mind. Additionally, many find it helpful for breathing and focusing. This scent is intense; a little goes a long way. 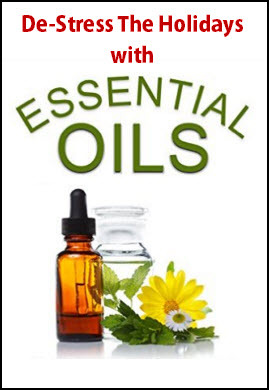 Essential oils have tremendous therapeutic properties. Sister Rosalind is an independent distributor of Young Living essential oils. Incorporate up to three different oils to your next massage to experience enhanced healing effects.